This year, Norway celebrates the bicentenary of our Constitution, which was adopted at Eidsvoll on the 17th of May, 1814. It is the second oldest written constitution in the world still in existence. As we were planning our activities for the bicentenary here at the National Archives of Norway a few years ago, we came across a tiny hand written book in our collection. It appeared to originate from the 1800s, and the name on the first page suggested it had belonged to a family associated with the constituent assembly at Eidsvoll. How exciting! Moreover, when we carefully opened this little treasure, the book was filled with cooking recipes and little poems, as well as some genealogical information about the family. One of our colleagues had an idea: “Why don’t we try cooking some of these dishes, to see how they look and taste?” Could we? Would we even understand the recipes? And what about the ingredients? Would we be able to buy them today? And if so, would the tastes and smells take us by surprise or be bland and disappointing? We couldn’t resist the challenge and the prospect of having a taste of 1814. 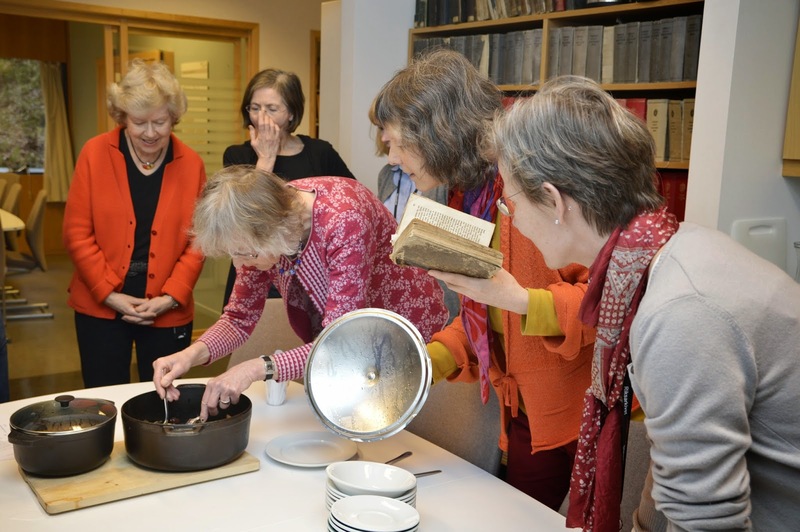 And that was the start of the Historical Cooking Club at the National Archives. A skilled colleague transcribed the whole book (which was written in gothic script) so we were able to read it easily. Then someone decided to make a lemon pie at home and bring it to work. However, there was one strange ingredient that we couldn’t figure out: Socker Plaiseer. It took us three attempts at the lemon pie before we were successful. First we just ignored the mysterious ingredient, and made the pie without the Socker Plaiseer. It turned out a bit soggy. Then we thought it was some sort of sugar -- and then waffles! After thorough research in Old French dictionaries and other directories, we figured it out. 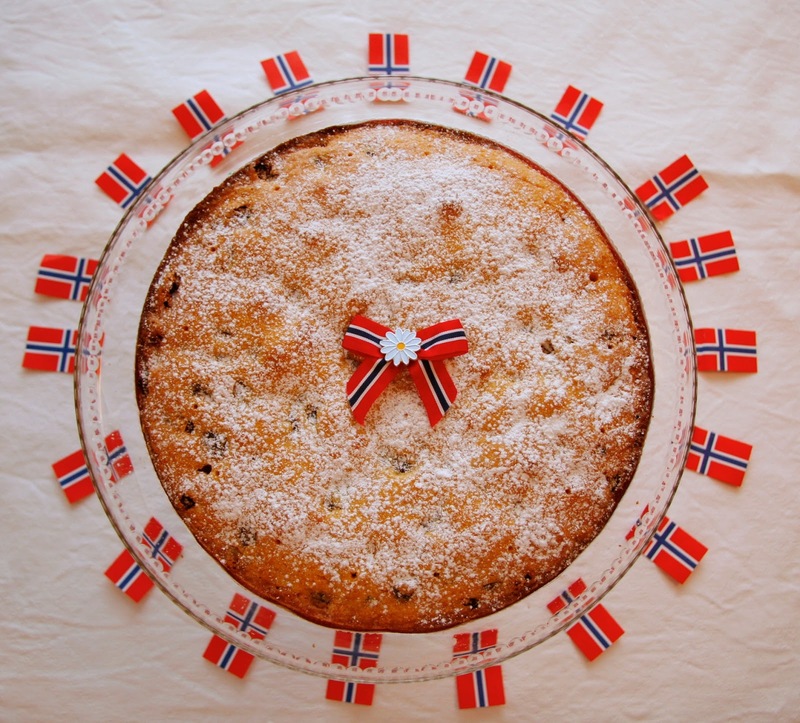 The missing ingredient was pleskner, a traditional Norwegian cookie/biscuit. 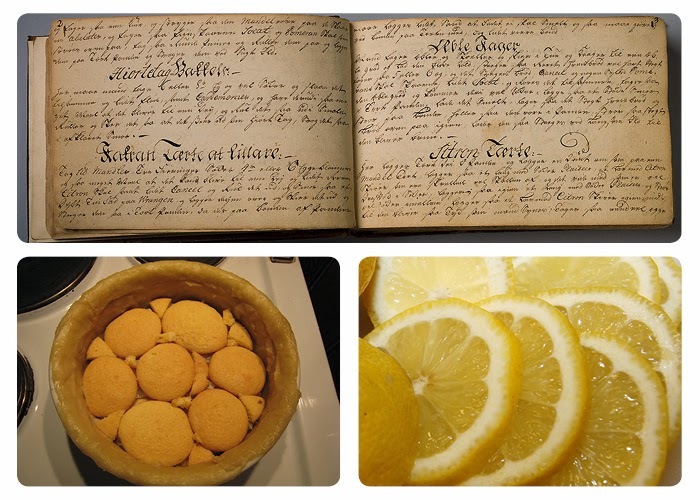 The biscuits are necessary in this recipe to soak up all the lemon juice--like lady fingers in Tiramisu. 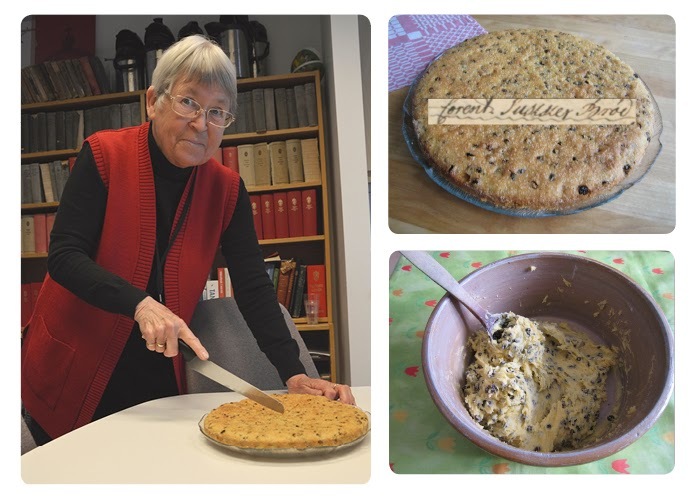 During this process, the members of the cooking club exchanged numerous emails, until yet another colleague had the bright idea (which now seems obvious, of course): We should start a food blog! So we did. And since then we have eaten lots of cake, soups, fish dishes and stews, and discussed ingredients, cooking methods, kitchen utensils, handwriting and lots of other topics. We have blogged about our success stories and our failures in the kitchen, and engaged the audience in this project both in social media and in real life. 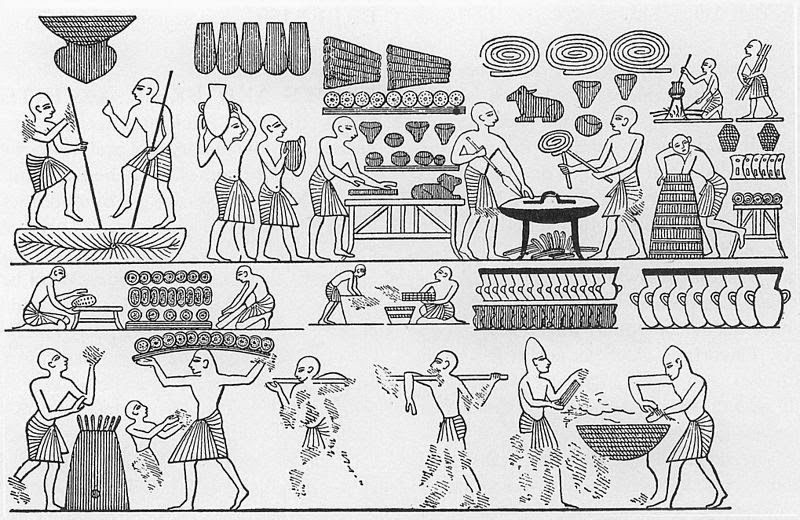 People love food! And because 2014 is the bicentenary for our constitution, our recipes have been particularly popular during the last few months. We would love to share every recipe we have made with you, but at the moment we don’t have the resources to translate them all. So we have selected one of our greatest hits, which is easy and quick to make: “Corent Sukker Brød” (Currant Sugar Bread). We have made and served it to our visitors dozens of times. It has also proved to be popular among our readers. One comment on the blog reads: "Hi! I’m 68 years old and have never made a cake. But I just had to try your "Corent Sukker Brød." The result? Just AMAZING! Oh my God, it tasted so good. Thank you so much for the recipe." It’s safe to say we have the best job in the world at the moment. Tag 1 pund Meel, 1 pund Sukker, 1 pund Corenter, 1 pund Smør, 12 Æg Sukker. Meelet og Smørret røres til sammen i et Steen-Fad de 8te Æg foruden hviider og de 4re med Hviider et af gangen, det æltes vel til sammen siden Corenterne i saa kan det haves i hvad Form man vil. 250 gram Zante currants (Corinthian raisins). These can be replaced with chopped raisins. Mix butter and sugar until white. Add the yolks and mix. Then add the whole eggs, one by one, followed by flour, and the Zante currants. Pour the mix into the baking tin and put it in the lower section of a preheated oven (180 C). Bake for about 35-40 minutes, until golden. Serve with coffee or tea -- fresh out of the oven or the day after. The cake can be kept for a few days and still taste good. 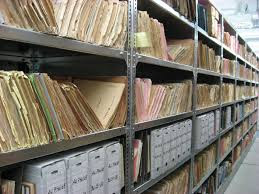 This guest post was written by Runhild Seim, archivist at The National Archives of Norway. Thanks for taking the time to write for our blog! I look forward to trying this cake for a future potluck! Yesterday, Kathleen brought this cake to our brunch/meeting! It was fantastic! I'm so glad you liked it! I have made this cake many times myself, and everyone, from the age of 5 to 70 loves it! And I have to say I love the fact that this old Norwegian recipe now is "big in Canada", thanks to you. 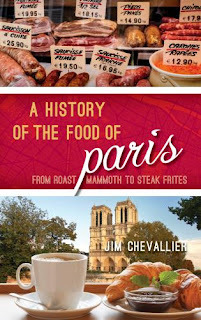 That is one thing we had'nt foreseen when we started the Historical Cooking Club :). So thanks for sharing the recipe and telling people about our project. All the best, Runhild Seim, The National Archives of Norway.